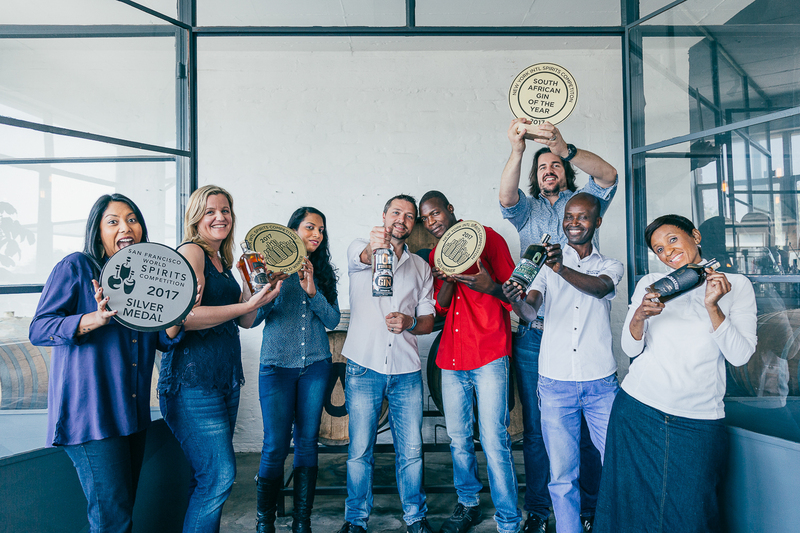 Situated in the hub of Durban’s Station Drive, Gin pioneers Distillery 031 has been picking up an armful of coveted international and local awards for their original artisanal spirits. A decade in the making, after distilling its first experimental batch in 2008, this year has become an award-winning vintage for the bespoke Durban distillery. Distillery 031 is owned by Andrew Rall who is passionate about creating craft spirits that offer a distinctly Durban unique flavour. Earlier this year, the Durban based distillery won the prestigious title of “South African Gin of the Year” for their Durban Dry Gin at the New York International Spirit Competition. This is the eighth New York International Spirit Competition, held in the heart of New York City across from Rockefeller Centre, and had entries from 23 countries in over 50 categories. Distillery 031 was also thrilled to win the South African Absinthe of the Year and a gold medal for their Ancestors Absinthe. Gin has experienced a global resurgence over the past five years and is now the fastest growing spirit in the world. Distillery 031 has added to their D’Urban Gin range with a Barrel Aged Gin which is a first for the South African Gin market. The new Gin complements the multiple award-winning Durban Dry Gin, a classic London Dry style gin with a twist. Durban’s Rall was blown away when he won two gold medals at the Global Gin Masters in London, the leading spirit competition in the UK. Distillery 031 racked up gold medals for their Durban Dry Gin and their newly launched Barrel Aged Gin. Closer to home, Rall and Distillery 031 received word that they had won two Golds and four Silvers at this year’s Michelangelo International Wine and Spirit Awards held in Cape Town. This is the 21st year that the top local award ceremony acknowledging South African creations has been held and had over 1,600 entrants in a variety of categories. 28 Judges from 22 countries adjudicated the competition. An ecstatic Rall enthused, “We won the most number of medals of any craft distillery at the Michelangelo awards. This, together with the number of international awards we have received this year means that 2017 certainly surpassed our expectations. Our D’Urban Dry Gin has been acknowledged in the States, twice and also at the Gin Masters in the UK. We can’t wait to see what 2018 has in store! Distillery 031 offers tours and tastings where guests can learn about the art of distilling and sample the fine spirits manufactured onsite. The venue also has a restaurant with a Cocktail bar serving Spanish style G&T’s and craft cocktails.